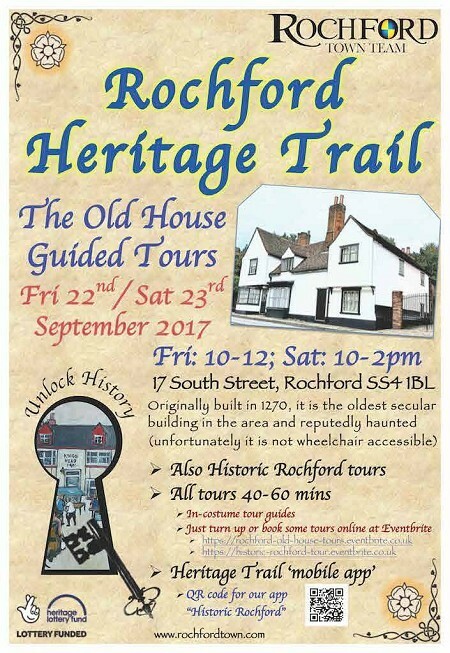 Separate Guided Tours of The Old House and of Historic Rochford from 10am-noon on Friday 22nd and 10am-2pm on Saturday 23rd September, all starting at The Old House. https://rochford-old-house-tours.eventbrite.co.uk for the Old House tours. https://historic-rochford-tour.eventbrite.co.uk for Historic Rochford tours.